En mi inmersión en los corresponsales españoles en el extranjero para la tesis doctoral desde la invención de la imprenta (El Mundo fue Noticia…, Fundación Banco Exterior, 1986), a mediados de los ochenta, se recogen sólo 300 páginas de las 1.380, repartidas en tres volúmenes, de la investigación, a la que dediqué varios años. En el tercer volumen incluí un capítulo, el séptimo, titulado “La opinión de los españoles sobre la información internacional”. El título del apartado 3 de dicho capítulo resume así el contenido: “Fuentes de la información internacional de los sindicatos, empresarios, diplomáticos y políticos españoles”. Para su elaboración entrevisté a los responsables de internacional de la CEOE, UGT, CC.OO., AP, PSOE, OID (la oficina de información diplomática de Exteriores) y a algunos ministros, como Pérez Llorca, Marcelino Oreja y Fernando Morán, en aquel tiempo al frente del Ministerio. Pepe Colchero, corresponsal durante años del diario Ya en Alemania y posteriormente uno de los corresponsales diplomáticos más importantes de España, me contó en una ocasión que Hans-Dietrich Gensher, el ministro alemán de Exteriores del FDP (Partido Liberal) que, como Gromyko en la URSS, pareció eternizarse al frente de la diplomacia de su país, tenía una pequeña piscina climatizada en casa y, nada más levantarse, antes de tomarse un café y echar una ojeada a los periódicos que le esperaban en una mesa junto a la piscina, se hacía varios largos escuchando por megafonía las noticias de las 6 de la mañana del servicio mundial de la BBC. Ya en el coche, camino del despacho, a las 7, leía el resumen reservado que le habían preparado los servicios de información de su ministerio sobre lo sucedido en el mundo en las últimas horas. Cómo se informa, qué lee, qué emisoras escucha o ve regularmente y qué autores admira o influyen más en un dirigente puede aportar más datos sobre él que miles de artículos. Lo mismo sucede, pienso, con los mejores informadores. De ahí la grata sorpresa al encontrarme el 3 de noviembre de 2013 con un artículo del ex corresponsal, enviado especial, mil cosas más y ex director del New York Times Bill Keller sobre los corresponsales en 2013, que abre con una explicación detallada de lo que él lee, escucha y ve a diario para estar informado de lo que pasa en el mundo. Lejos del pesimismo que invade las redacciones y el mundo académico español a raíz de la crisis de los últimos años, Keller es optimista sobre el futuro de la tribu. OVER the past 20 years, to loud laments from media veterans, American news organizations have retreated from the costly business of foreign coverage — closing bureaus, slashing space and airtime. Yet for the curious reader with a sense of direction, this is a time of unprecedented bounty. ¿Qué lee, escucha y ve un internacionalista impenitente como él para estar al tanto de la actualidad internacional? I begin my day with this paper’s (NYT) foreign staff — 75 reporters in 31 bureaus. I’ll listen to NPR at the gym, then look at The Wall Street Journal and The Financial Times, peruse the websites of The Guardian and the BBC, check my AP mobile app. Later I’ll visit Al Jazeera English for its “Syria’s War” blog, followed by the “Global” section of The Atlantic, the “Regions” tab at Foreign Affairs and some of the bloggers at Foreign Policy. If my Russian feels up to it, I’ll listen to a feed of the independent Moscow radio station Ekho Moskvy, and I’ll probably drop by a feisty news website called The Daily Maverick in another country I follow, South Africa. The #Turkey Twitter stream I set up for a reporting trip last summer has gone a little quiet lately, but YouTube has lots of indignant European officials fulminating about American eavesdropping. After all that, if I’m not sated, well, I’ve bookmarked onlinenewspapers.com, which links to thousands of papers and magazines. I can now access all of them without leaving my desk, and most of this feast will be free. When auto-translate software gets better, I’ll even have access to news sources in Persian and Mandarin. Not only that, but since the world got connected it’s become much harder for authoritarian regimes to hide news. In 1982, when President Hafez al-Assad of Syria crushed a rebel uprising by literally flattening the city of Hama, the story was little more than a rumor for months; and according to Thomas Friedman, who covered it for The Times, the only reason Assad eventually let journalists in to see the carnage was to give his subjects an object lesson in how troublemakers would be treated. Nowadays we can watch the atrocities perpetrated by Assad’s son Bashar on YouTube in real time. Cuando los practicantes del reporterismo global se juntan -añade-, como hicimos unos cuantos la semana pasada en una estimulante conferencia sobre el futuro de la información internacional en el Boston College, una cuestión sobre la mesa fue si, a pesar de tanto lamento, estamos disfrutando de una era dorada de la información global. Creo que sí, pero… El sí ya lo he explicado. Ahora les cuento el pero. The problem with the cutbacks in professional foreign coverage is not just the loss of experience and wisdom. It’s the rise of — and exploitation of — the Replacements, a legion of freelancers, often untrained and too often unsupported. They gravitate to the bang-bang, because that’s what editors and broadcast producers will pay for. And chances are that nobody has their backs. Some of them, of course, are tremendously talented, and many prefer freelance work over staff jobs for the freedom to cover what interests them. But for most of them, I suspect, it’s not a choice. Freelance work has long been a way to break into the business of international reporting; nowadays, increasingly, it is the business. A foreign assignment at a major news organization has traditionally come with traveling expenses, medical coverage, security and first-aid training if you are covering conflict, fixers and translators and, in a few instances, paid leave for language training. It comes with technicians who make sure your computer and satellite phone work. It comes with lawyers in case you get sued or arrested. It comes with editors who will tell you not to take foolish chances, and notify your family if something bad happens. These days the disturbing trend is to pay freelancers on spec. Without even offering a contract or a formal assignment, which at least implies some responsibility, news organizations ask independent reporters to pitch completed stories or photos after the rental cars have been paid for, after the work has been done — after the risks have been taken. (And even then, it can be an ordeal to get paid. A freelancer in Yemen recently started a campaign to “name and shame” news organizations that stiff journalists.) When a freelancer gets into trouble in a conflict zone, “You just fall into a black hole,” said Emma Beals, a British journalist who has worked in Syria and has become an advocate for freelancers there and in other treacherous places. She estimates that there are currently 17 kidnapped foreign journalists being held by various factions in Syria’s civil war. The majority of them are freelancers. Llegados a este punto, pueden olvidarse por un rato de Keller y explorar los blogs, tuits y grabaciones de Ramón Lobo, Gervasio Sánchez, Antonio Pampliega, Alfonso Armada y otros muchos periodistas españoles. O, para abreviar, pueden acudir a Cuadernos para Periodistas Nº 26, Junio de 2013, y ojear el artículo de Mayte Carrasco y el mío sobre el tema. Los subo al blog para facilitarles el viaje. My other caveat about this time of abundance is that while it’s great for a foreign-news junkie, I’m not sure how well it serves the passive reader. The profusion of unfiltered information can overwhelm without informing. So while it is true that the outside world learned almost instantaneously of the horrific August chemical attack in Syria, the flood of social media was contaminated by misinformation (some of it deliberate) and filled with contradictions — enough to let the regime and its supporters blame the massacre on the rebels with an almost straight face. Even after United Nations inspectors had visited the site and filed a report, they did not resolve the question of culpability. It took an experienced reporter familiar with Syria’s civil war, my colleague C. J. Chivers, to dig into the technical information in the U.N. report and spot the evidence — compass bearings for two chemical rockets — that established the attack was launched from a Damascus redoubt of Assad’s military. 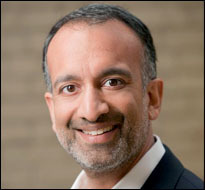 Rajiv Chandrasekaran is a senior correspondent and associate editor at The Washington Post, as well as the author of two books on U.S. civilian and military involvement in Iraq and Afghanistan. Imperial Life in the Emerald City: Inside Iraq’s Green Zone, Chandrasekaran’s first book, takes an in-depth look at reconstruction efforts after the 2003 invasion of Iraq. Widely acclaimed as one of the definitive first-hand accounts of life inside Baghdad’s walled off Green Zone, Imperial Life in the Emerald City won Chandrasekaran the 2007 Samuel Johnson Prize and made it onto The New York Times list of the 10 best books of 2007. 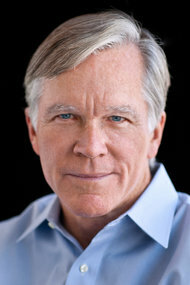 His second book, Little America: The War within the War for Afghanistan, was published in 2012 and details many of the challenges and missteps that have characterized America’s longest war. Chandrasekaran has been with The Post since 1994 and has since reported from dozens of countries. He was part of the team of reporters sent to Afghanistan and Pakistan in the months immediately following September 11, 2001; he also served as the Baghdad bureau chief from 2003 to 2004 and covered the war in Afghanistan from 2009-2011, traveling frequently throughout the dangerous southern provinces of Helmand and Kandahar. Journalist’s Resource: What websites — blogs, government sites, journals — would you recommend to young journalists who want to cover military affairs and foreign policy? Rajiv Chandrasekaran: I’d divide up my recommended reading list into three categories. The first consists of subject matter expertise. In addition to coverage from large news organizations — The New York Times, The Washington Post, The Wall Street Journal, The Financial Times, The Guardian, NPR — I would recommend Foreign Policy, a scan of military publications such as Army Times, and Small Wars Journal. Journalists should also seek out listservs or moderated groups involving people who have a particular passion for military issues — often retired officers — who are culling information and posting links. And my Twitter feed [@rajivwashpost] generally gives me a decent enough handle on what’s happening in an area without getting too in the weeds. In trying to figure out the future of foreign newsgathering, let’s start with this unpleasant truth: Few people really care much about news from abroad. They tell pollsters that they do, of course, but they are fibbing. They know that they should care—after all, everyone knows foreign news is important—or they are embarrassed to admit that events overseas just don’t seem that urgent when they are rushing to gulp down news. Nor does serious international news sell. Just ask newsmagazine editors: When a foreign news story goes on the cover, newsstand sales head down. Or ask online publishers of international news about the stories people decide to click on. GlobalPost’s cofounder Charles Sennott shared with a New York Times Magazine reporter that two of the most popular stories during his Web site’s first year of operation were about a racy cartoon in India and cat costumes designed in Tokyo. I do not raise these unhappy truths to suggest we must resign ourselves to news media that ignore the rest of the world. Thinking realistically about foreign news can help us fashion good solutions. So can a little historical perspective showing why finding new ways to do this has become so urgent. The mass media system that piled up profits for owners in the 20th century served foreign news relatively well. A handful of prestige media with public-spirited owners and relatively elite customers—the New York Herald Tribune, The New York Times, and the Chicago Daily News, and CBS, when it was described as the Tiffany network—excelled at foreign news. Others gave their audiences less, but still something, largely by drawing on wire services. This helped them attract a mass audience, which pulled in advertisers. En mi clase del Master de Política Internacional en la Universidad Complutense sobre información y conflictos, de febrero a junio del año siguiente, cada alumno eligió dos o tres intervenciones del índice anterior y preparó una intervención en clase, aprovechando todos los medios disponibles: textos, fotos, audios y videos. Creo que mereció la pena. Hard Times for Hard News A Clinical Look at U.S. Foreign Coverage By John F. Stacks World Policy Journal. Winter 2003/2004. El papel del corresponsal de guerra. Por Jonathan Steele. Conferencia en el seminario “El Periodismo y los Conflictos Armados”, organizado por el CIP-Fuhem en Madrid el 16 y 17 de noviembre de 1998. Corresponsales en Bagdad. Artículo publicado por vertele.com el 9 de abril de 2003.